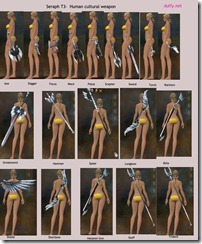 Guild Wars 2 Cultural armor and weapons list and gallery with detailed instructions on where to purchase. 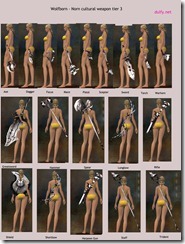 Note that you can buy other race’s cultural weapon, just not the armors. NOTE: As of Aug 30, Arenanet raised the prices on all T1 and T2 cultural weapons (previously 1-2k each, now 9k –35k each). 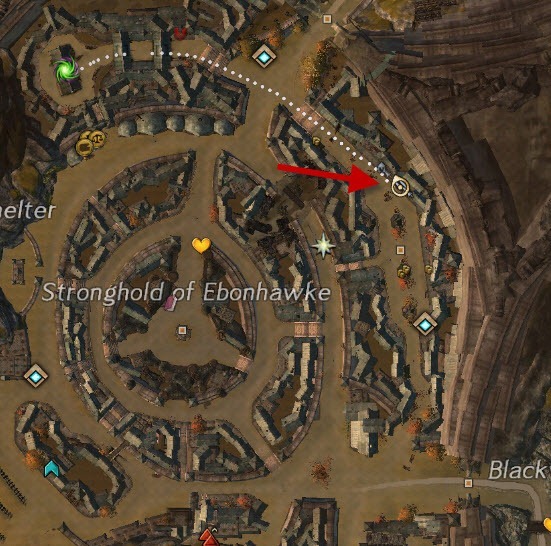 You need to go through the tunnel and follow it to the end to reach the weapon vendors. 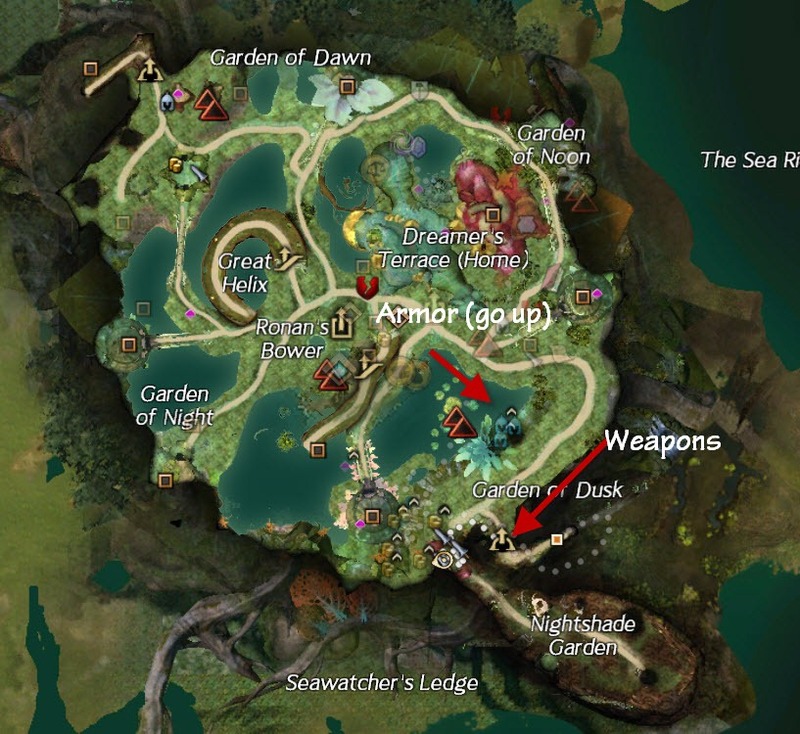 For armor, you need to take the seed pod up from the weapon vendors. 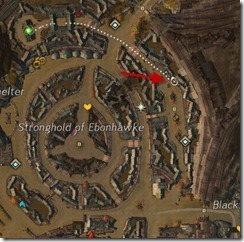 To access Ebonhawke, first port to Divinity’s Reach and then go to Rurikton district to take the Asura gate to Fields of Ruin. 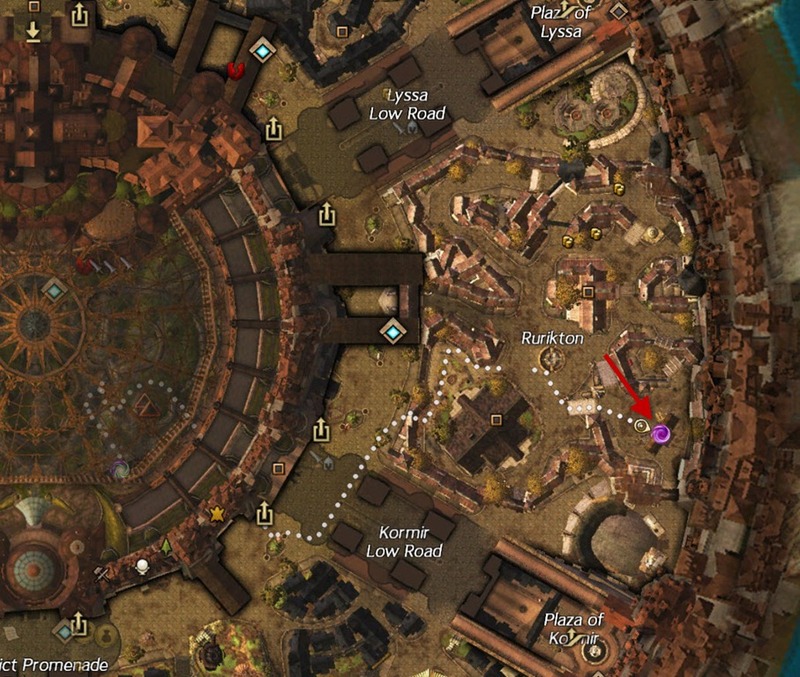 Once you are there, go to the vendors here. 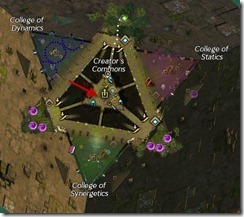 You need to go to Lion’s Arch and do the jumping puzzle there called Weyandt’s Revenge. 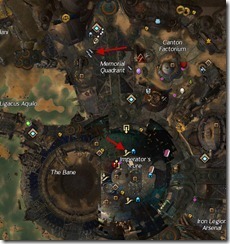 There is a small guide here to lead you to the puzzle and I will post a video of me doing the puzzle soon if you need help. 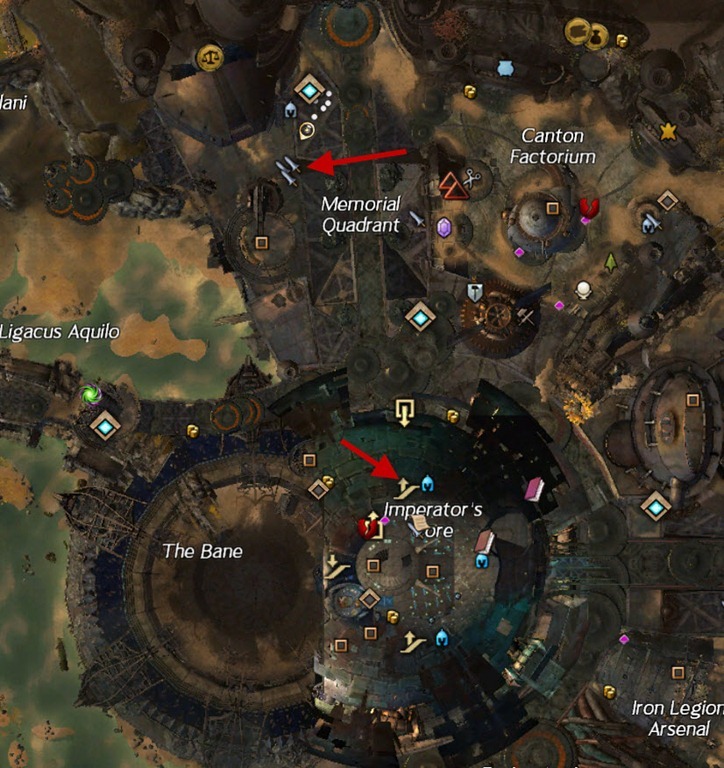 The vendor is at the end of the puzzle. Great guide and great timing(Just dinged 40 yesterday)! Thanks a lot! I knew I was missing something… Now I’m going to buy those when I get to play again. Your karma prices for the Ebonhawk weapons (and I believe all the other cultural weapons) are out of date. They’re 9.8k, 35k, and 63k respectively. There’s also cultural weapons in Lion’s Arch (not the pirate ones). Yes, they are very out of date. So, there is NO WAY a L40 can afford close to 10k Karma unless all they do is grind Karma. 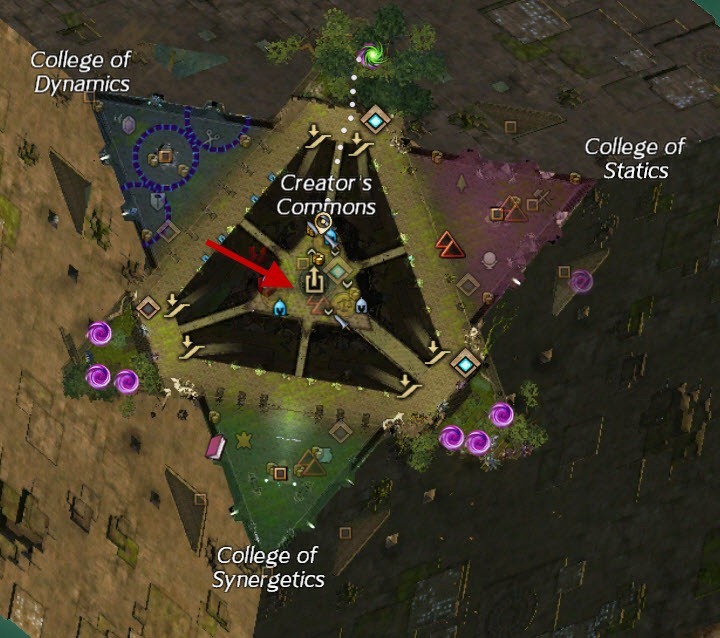 Very disappointed in ArenaNet in making this change. it was hotfixed hours after I made the post. I am level 28 myself and I have about 7-8k karma already and I haven’t been grinding out karma. This isn’t that hard to do. Besides…these are tier’d weapons, more powerful then most weapons around that level. Deal with it. I had 12k karma at level 40 and I’ve been spending a lot on cooking. I really don’t grind karma either. But to be honest, I am not sure the weapons are worth it, I got a better upgrade from my PQ within a few hours of buying my level 40 cultural weapon. They’re not very out of date. The values just got hot-fixed in the maintenance tonight. I just went to Ebonhawke and Rata Sum as level 47 Human, and all the tier 1 weapons are listed for 9800 Karma, tier 2 for 35K and 63K for tier 3. I only paid the price you list (1k range) for the level 40 Human weapons though. It seems prices for other than your own faction or race are more expensive? I did not do anything towards map completion in Fields of Ruin. The only maps I completed are those my personal takes place in: Divinitys Reach, Queensdale, Kessex Hills, Gendarran Fields, Lions Arch, Lornar’s Pass and just started Bloodtide Coast. It is odd though as 1 handed weapons cost now the same as 2 handed. 2 days ago the prices were more sensible as 1h cost about half of a 2h. Maybe/Hopefully the latest change was not intended? Confusing nevertheless that they would muck about with the prices in such short succession after the game went live. 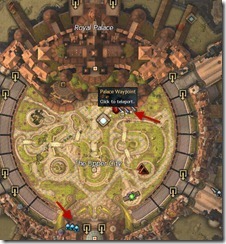 It wouldn’t be surprising if they changed it by accident with all the high priority issues (parties/guilds, lag, trading post, mail, hacks, etc.) they are working on currently. 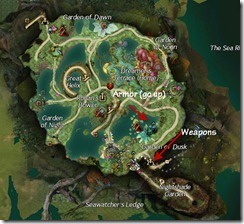 Hi Dulfy – looks like the Sylvari T1 Weapons screenshot is actually showing Asuran weapons. Started following your guides for SWTOR and carried over to GW2, not regretting it. Wasn’t sure where to put this, so forgive my commenting here with this. I found a town clothing item in-game after talking to an NPC (Riff Sootclaw) in Iron Marches (50-60). Upon talking to him, you can request to join his Warband. He laughs, and tells you that Okay, you can join his Warband if you fix his tank. After fixing it, he rewards you with [Iron’s Tailpipe Bandana], a head item for town clothes. 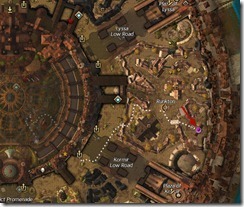 Attached are a few screenshots, of the bandana on my female human, and where to find the NPC. It’s not the prettiest town clothing item, but a clothing reward nonetheless. I love your write-ups. Especially when I see stat breakdowns like you did on the weapons here. You can get some of the Norn T2 weapon skins at level 5 in the Norn starting area. Basically you help Sven in the Dredge caves to get ore. When you finish that quest, he’ll run back to his forge and enable you to buy some T2 weapon skins (sword, pistol, rifle, dagger and axe) for under 1 silver each. Great deal if you do that quest. Is this legit? Damn, gonna have to go back and look for that one. 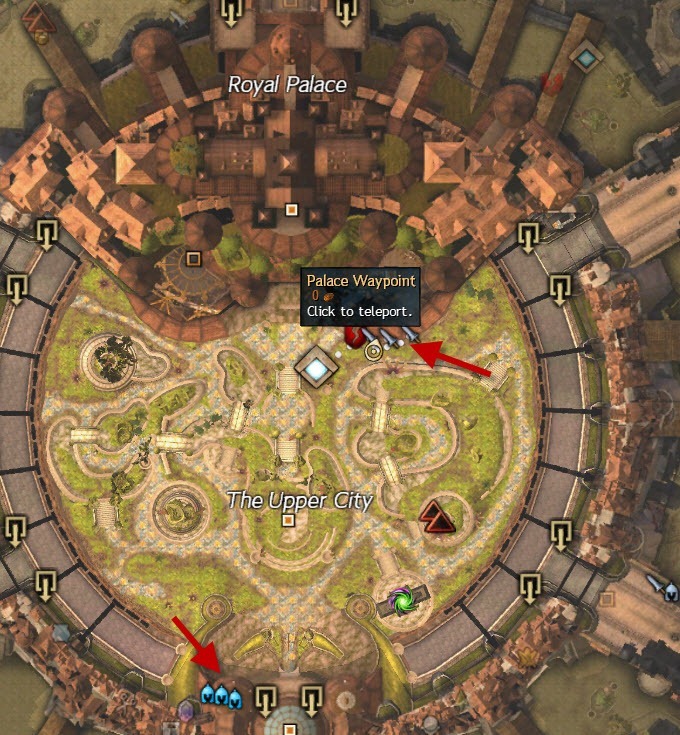 This guide’s only missing hte Lionguard weapons – they can be purchased for 9800/35000/63000 karma in Lion’s Arch just southwest of the Fort Marriner waypoint. Just like the Ebonhawke weapons, all three tiers look identical. All cultural T1 and T2 weapon skins are obtainable via loot or cheap on the marketplace. 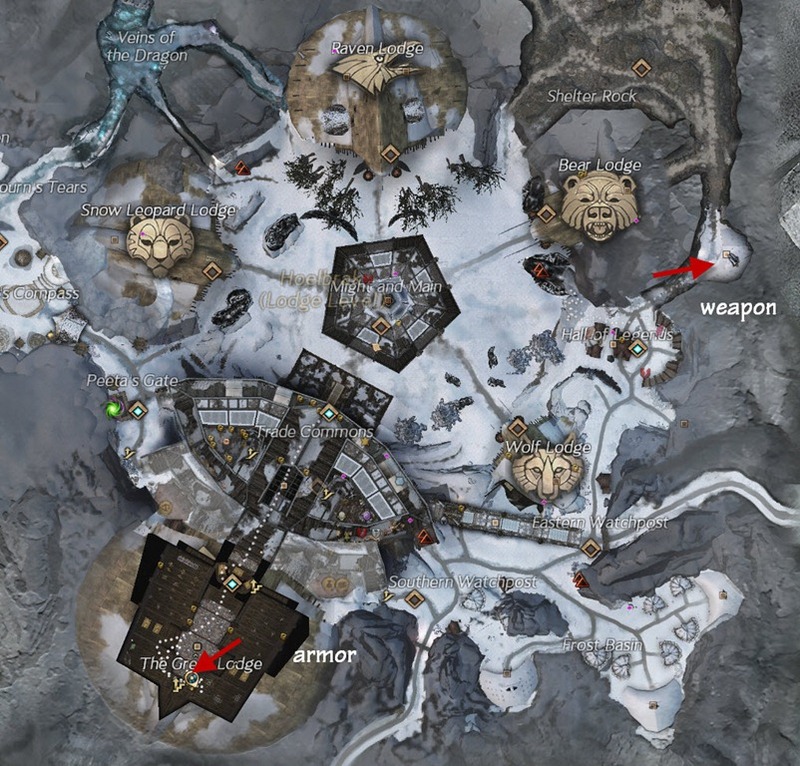 It would have been useful to know where to get T3 weapon skins as some of them are obtainable in world. 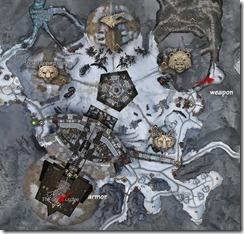 specifically, all T3 charr weapon skins are obtainable by far cheaper karma traders in one of the ascalon zones. That is no longer true, they removed those a while back. Hey! Can someone confirm? Don’t you get some of the T1/T2 cultural armors through the leveling rewards? Specifically, I remember T1 helmet.. Am I imagining this?